The FX Series, of 10 models, covers 4x2s, 6x2. 6x4s and a prime mover (which is very popular as a car transporter). 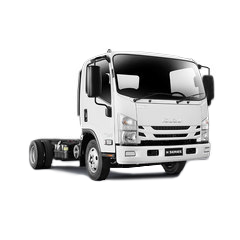 Also offered are choices of transmissions, wheelbases, axles and suspensions. All of which will help make your daily grind much less of a grind, whatever your application. And by continuing to share the load with you we hope to never share the lead with anyone. 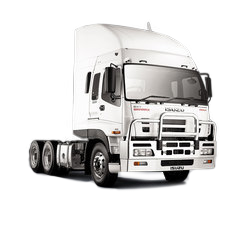 To meet tough Euro V environmental standards a Diesel Oxidation Catalyst (DOC) and an Exhaust Gas Recirculation system (EGR), have been utilised. 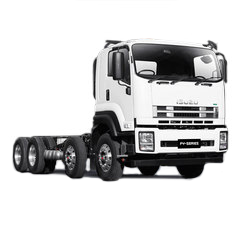 The DOC offers greater simplicity for body builders and operators, while the EGR not only reduces harmful emissions, but also delivers improved driveability and enhanced engine braking. 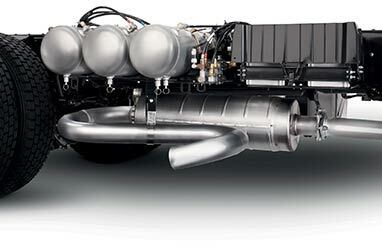 Most of all, no particulate filter or the need for AdBlue, so all you need to do is fill it with diesel and drive. 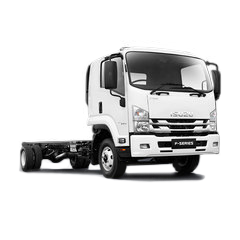 Isuzu is all about sharing the load, and that is why all FX models are fitted with Meritor front and rear axles, widely considered the best axle in the world. 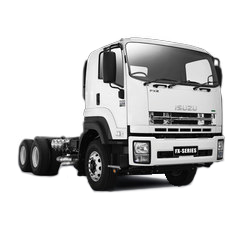 Most models come standard with Hendrickson airbag rear suspension, a proven premium component from North America, boasting a capacity of 20,865kg in our 6x2 and 6x4. When it comes to transmissions, we’ve opted for two of the best in the business, offering the Eaton-Fuller 10-speed and German built ZF 9-speed. All FX Series cabs comply with the latest ECE-R29 standard, so they are truly world-class. 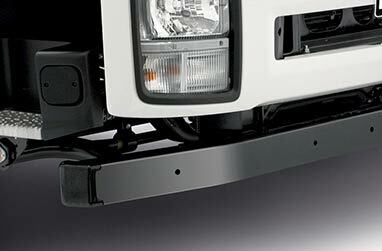 Double side-intrusion bars, seatbelt pre-tensioners and load-limiters, and driver airbag are all standard. Our front axles now come with FUPS (Front Under-run Protection System) meaning you can safely carry up to 6.5 tonnes over the front axle. 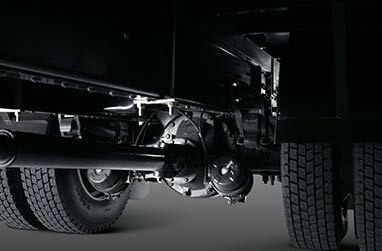 All FX Series feature the class leading ISRI 6860 air-suspension driver’s seat. This seat offers lap-sash seatbelt, head restraint, dual-stage air lumbar/lateral support, integrated pneumatic system, adjustable shock-absorber and body-hugging upholstery from head to knee. Sharing the load isn’t just about what’s in the back of the truck.